Sugarcane is one of the most popular juicy plants in the world, especially in tropical countries. It is very good for health and can be used to make delicious dishes, sweet porridge, smoothies, and juices. Sugarcane is sweet and provides essential vitamins, minerals, and nutrients. limit bad breath. Therefore, after eating meals, you just eat a piece of sugarcane as a healthy dessert to improve your breath and to avoid tooth decay. away from illnesses, such as sore throats, colds, and flu. If you are suffering from one of these problems, the sugar cane juice is an effective remedy for you. it will help the recovery process. It also provides a lot of energy, helping you stay energetic throughout the day! are known as an anti-inflammatory, anti-cancer, anti-oxidant, anti-viral and anti-allergic substance. Therefore, when you are expose to the sun and feel tired, you should drink a glass of sugarcane juice. It will cool and lower your body heat immediately and re-energise you. Although sugarcane juice has many health benefits, make sure you drink it from a clean source. Improve the immune system: Sugar cane contains high levels of calcium, chromium, cobalt, copper, magnesium, manganese, phosphorus, potassium, zinc. Vitamins contained in sugar cane are also very diverse, including Vitamin A, Vitamin C, Vitamin B1, Vitamin B2, Vitamin B3, Vitamin B5 and Vitamin B6, and some natural nutrients, such as chlorophyll, antioxidants, protein, fiber, and other unsaturated compounds, which are good for health. dry due to the high body heat and over sweating. 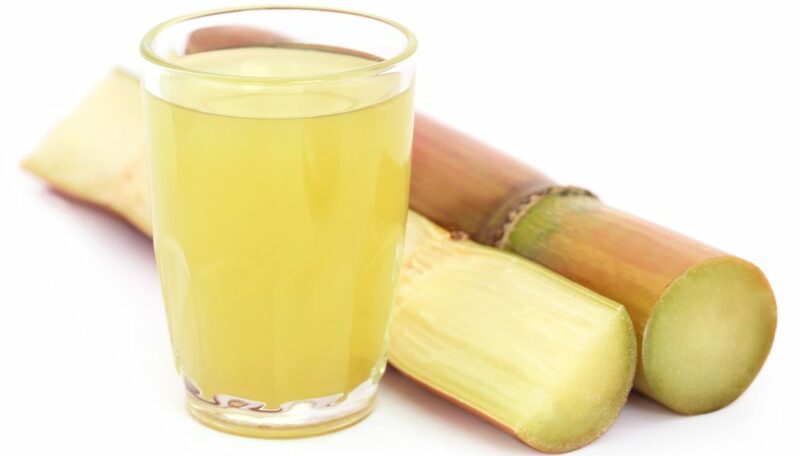 Drink a glass of sugarcane juice in hot summer days can help to keep your body hydrated effectively. In fact, this is also one of the most common benefits of sugar cane juice that people should make use of.